VANCOUVER, BC – The Donnelly Group, has announced details of a new collaboration beer with Phillips Brewing that will be pouring just in time for the World Cup. 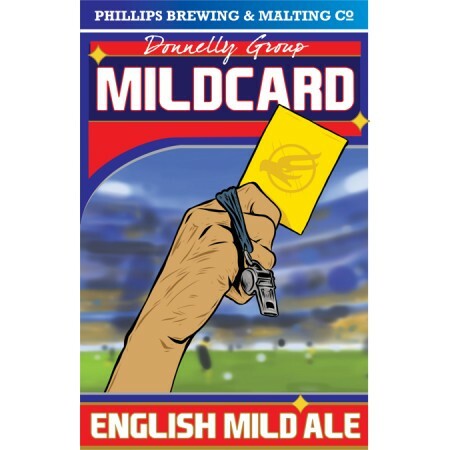 Mild Card is a low-alcohol, full flavor traditional British ale that will be the perfect accompaniment for the full month of World Cup soccer which kicks off on June 14th. It’s dark amber in colour, but light and easy drinking with delicate aroma that’s malt-accented with elements of caramel, grain, chocolate, and slight roastiness. When it hits the tongue, it arrives with a low bitterness which emphasizes a complex malt character with hints of chocolate, lightly roasted coffee, dark fruits and caramel, and a pleasing dry finish. Mild Card will be available on tap at all Donnelly Group pubs and bars in Vancouver while supplies last.